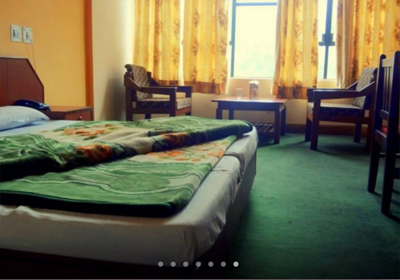 A premium two-star deluxe hotel in Chardham route, Hotel Uday Palace is positioned on the main Rishikesh -Badrinath road, in Pipalkoti, Chamoli district of Uttarakhand. This hotel is popular for receiving the guests with warm hospitality and tender-heartedness. 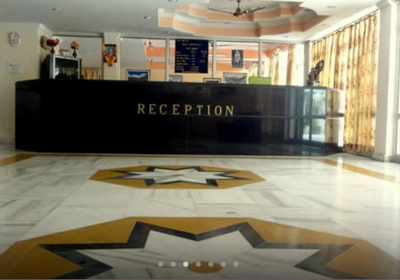 The hotel offers excellent amenities paving a way for a comfortable stay of the Chardham visitors. 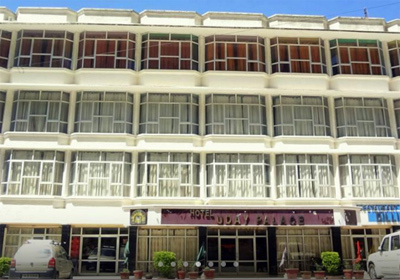 Some of the key facilities offered by the hotel are Parking, doctor on call, laundry, conference hall, and more. There are several comfy and well-appointed rooms in the hotel. These rooms are divided into four categories Deluxe Rooms, Super Deluxe Rooms, four bedded rooms, and executive suites. These rooms are equipped with relaxing amenities. 'Dilli Darbar' is a popular multi-cuisine restaurant in the hotel. This restaurant serves a list of delectable dishes. The easy accessibility of the nearby tourist attractions makes this hotel a great choice for accommodation in Pipalkoti. The rooms in the hotel are well furnished and available in four different categories so that guests can choose the one as per their needs as well as the budget. They are beautifully decorated and designed with eye-catching interior. Further, they are well equipped with all sorts of modern facilities such as room heater, television, telephone, attached bathroom with hot water facility and complimentary toiletries. Guests can have a homely stay experience in the comfortable and spacious rooms of the hotel.